So You Think You Can Mom? : FabKids.com: Jumping for April! Another month means another fabulous outfit from FabKids.com! This month is all about the Jumper. Jumpers are a great Spring and Summer addition to a little girl's wardrobe. It's literally an entire outfit in one easy piece of clothing. 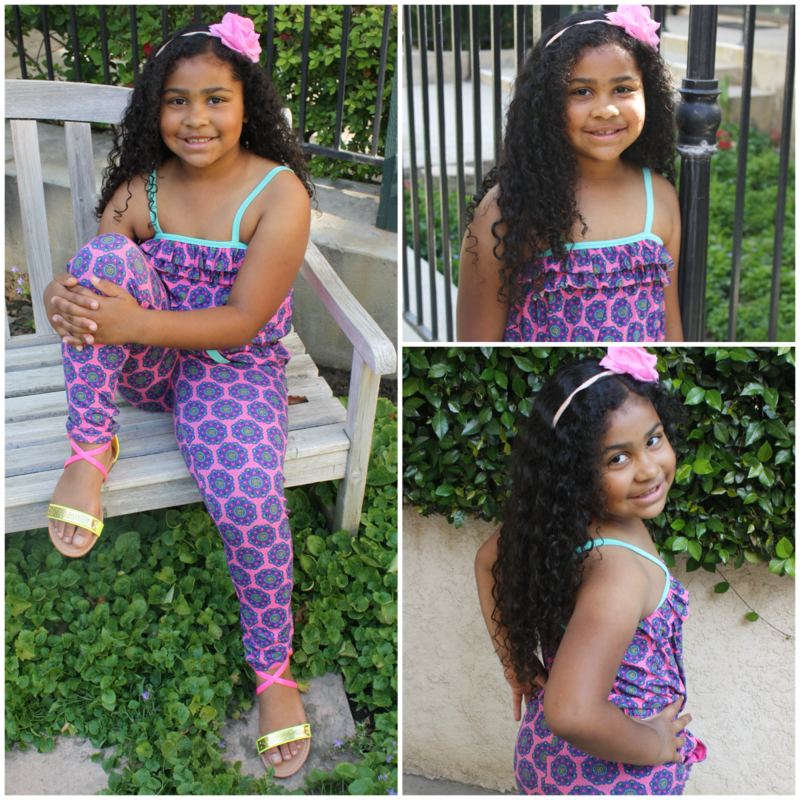 Mya is in love with her new Purple Ruffle Jumper from FabKids.com. The pattern is amazing and the colors are adorable, but that's not all. The fabric used to make this jumper is outstanding! It's the perfect blend of Rayon and Spandex which results in a soft and stretchy jumper. The Purple Ruffle Jumper is comfortable against her skin and will survive the multiple washes that lie ahead. Mya is just like her Grandmother and GreatGrandmother...she loves shoes! When she saw these bright Neon Cutout Sandals she literally jumped for joy. The colors are everything! She has already declared that she will be wearing them "all Summer long!" and I believe it. Don't they look just perfect with the Purple Ruffle Jumper? Get on over to FabKids.com and start your VIP Membership now! You don't want to miss another month of affordable and fun fashions. Disclosure: I was not compensated for this post. I received an April outfit in order to facilitate my review. These are just my two cents!